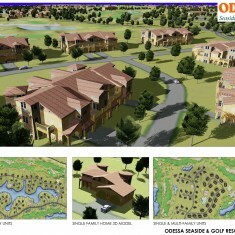 Odessa Seaside & Golf Resort | Odessa Seaside & Golf Resort | Ecosign Mountain Resort Planners Ltd. In 2007, Ecosign Mountain Resort Planners Ltd. prepared a Master Plan for a Seaside and Golf Resort situated on the cliffs of the Black Sea near the city of Odessa, Ukraine. 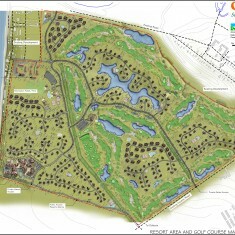 Ecosign requested the services of Graham Cooke and Associates Inc. of Beaconsfield Québec, Canada to assist with the planning and detailed design of the Championship Golf Course Development. The proposed study area is located in the southern part of the Odessa region along the Black Sea Coast, approximately 20 kilometers from the city of Odessa. The site encompasses a total of 270 hectares and has access to 500 meters of cliff and sandy beach overlooking the Sea. 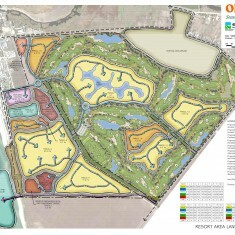 The focus of the Master Plan was to create one of the premier Seaside and Golf Resort destinations in the Ukraine with facilities that would be attractive to a wide variety of regional and international guests. 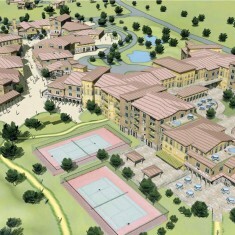 The Master Plan Design included resort amenities such as a 5-Star Hotel Conference Center and Spa, yacht club and marina, 27 holes of Championship golf and teaching facility, private clubhouse lodge, soccer training facility, sport and tennis center, boutique commercial village, public beach and waterfront access, multi-use recreational trails, and various forms of public and private real estate development. The accommodation types include over 2,000 beds of private single-family accommodation, 1,320 private multi-family beds and all offering sea or golf course views. The Seaside boutique village consists of over 500 public accommodation beds and a 5-Star Hotel Conference Center and Spa with 700 beds. The commercial village center includes a pedestrian street for shopping and entertainment, and a large central plaza with clock tower. The 27-Holes of Championship golf course, marina, yacht club and commercial village overlooking the Black Sea, create the opportunity for a truly unique Seaside and Golf destination resort.